The Bury St Edmunds Guildhall tour guides introduce this fascinating building and tell you stories from the past. 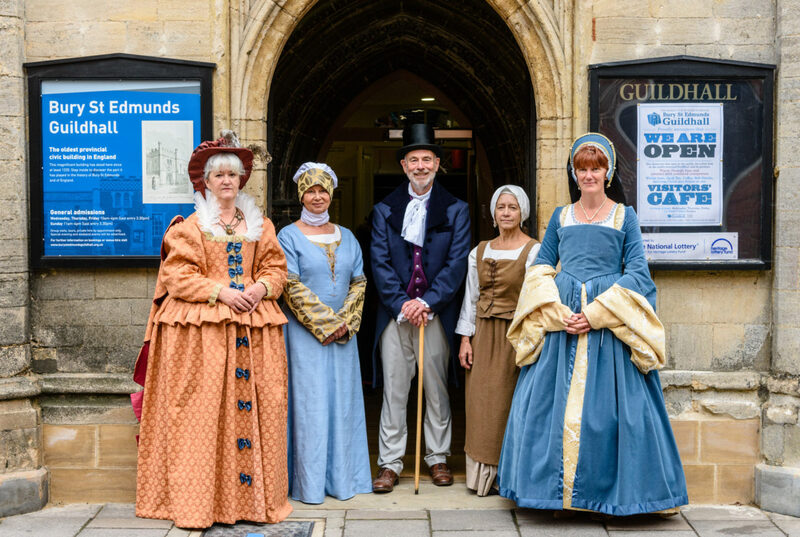 As you move through the ages from Medieval to Victorian, our guides will introduce ‘The Good, The Bad and The Unlucky’ characters who illustrate or have shaped the history of the town. Ticket includes general entry, which allows you to explore every aspect of the beautiful Guildhall building, including the lovely gardens and the WWII Royal Observer Corps Control Centre. For groups of 12 or more, a group discount can be applied. Contact Guildhall reception to book – 01284 247037. Date and time: Every Sunday (between 11.30am-12.30pm). Venue: Bury St Edmunds Guildhall, Guildhall Street, Bury St Edmunds IP33 1PR. Tickets: Adult £8; Concessions £7; Child £5. Available from the Guildhall front reception or What’s On West Suffolk.